PARIS--(BUSINESS WIRE)--Solidia Technologies® joined industry leaders today at the International Energy Agency’s (IEA) Carbon Capture, Utilisation and Storage (CCUS) Policy and Investment Workshop for discussions on advancing worldwide adoption of CCUS technology. The workshop followed the IEA World Energy Roundtable where Solidia CEO and President Tom Schuler spoke on the role of commerce in advancing sustainable innovations. "The shift from seeing sustainability as an opponent of profitability to seeing it as an asset is happening right now, and IEA is on the cutting edge of it," commented Schuler. The annual IEA Roundtable convened energy, finance and industry experts to provide insights for IEA’s report, World Energy Investment 2018, and the interaction of investment, technology and policies. Today’s Workshop brought together leaders in industry, government and finance to confer on commercial deployment of CCUS worldwide as a key emissions mitigation technology. Solidia’s systems produce a sustainable cement and cure concrete with CO2 instead of water, while utilizing manufacturers’ existing infrastructure, raw materials, formulations and production methods. 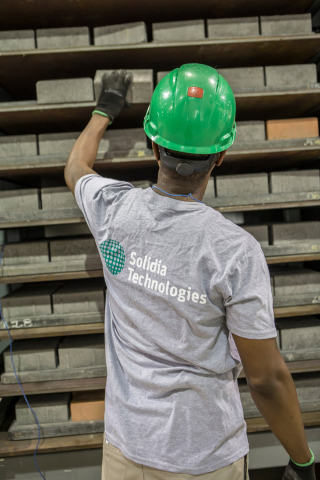 Stronger, more durable and higher performing than traditional concrete, Solidia Concrete™ products cost less to produce, reduce water and energy use, and cure in less than 24 hours. Solidia supports IEA's mission to reduce emissions & accelerate adoption of carbon capture and storage tech for sustainable solutions for the planet.